this model is for applications that support OBJ files. Import the file into your favorite aplicativpo. The scale of this scene was designed for Michael in DAZ Studio 4. 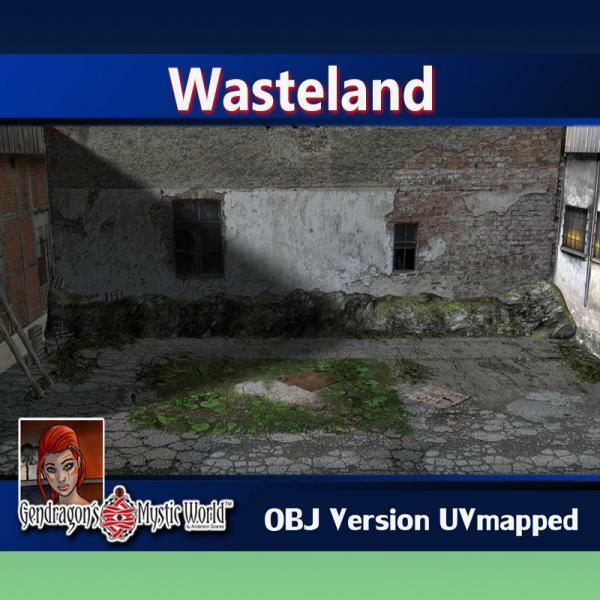 For best viewing of camera close, apply normal map contained in the "map" inside the main folder "wasteland". Generally displacement maps are not exporting in DAZ Studio and need to be manually loaded. this varies according to your application, refer to the user for details. Thanks very much for this download! connatic (3 years ago) Inappropriate? Thanks, this is very detailed and useful. Hello Gendragon, again i humbly thank you. Gendragon's Mystical World (4 years ago) Inappropriate? Xydren (4 years ago) Inappropriate? Thanks mate. It is appreciated. ooe3oo (6 years ago) Inappropriate? Jason Gaydos (6 years ago) Inappropriate?